This past Saturday, I wound my way through the back-roads of Schoharie County to one of my favorite places in New York—the village of Middleburgh. It’s about a half hour drive from Albany, and a gorgeous drive it is, even on a rainy, winter's day. Farms emanate east and west off of Route 30 as you roll towards the village and to the south rises Vrooman’s Nose, one of the best hiking trails in the whole area. Middleburgh is the personification of a quaint rural American town. There can’t be much more than 1,000 people living in the village. 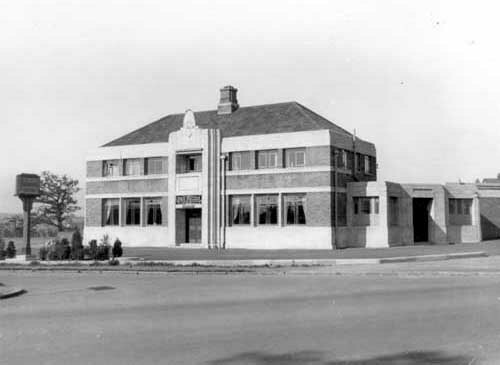 It has thriving downtown, with the pre-requisite post office, Stewart shop, and pizza place. 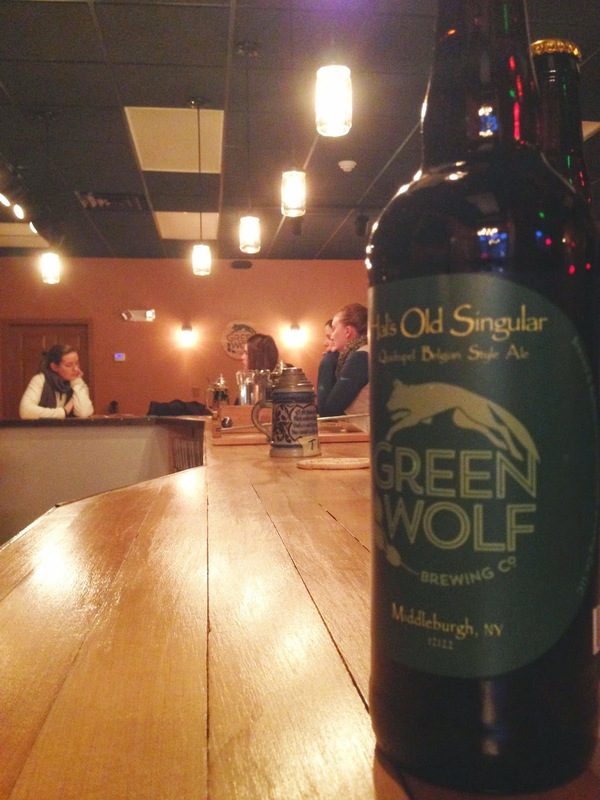 It’s also home to my good friend Justin Behan’s 2-barrel brewery—Green Wolf Brewing Company. I spent an hour chatting with Justin and his wife, Tracy, about a few upcoming projects. I sipped a 10.6% ABV Belgian Style Quadruple, dubbed Hal’s Old Singular, and chased it with a significantly less potent Schoharie Pale Ale. Both were fantastic. Justin and I planned and discussed and Tracy set about getting the tap room ready for service. Then something happened at 4 o’clock—and when I say 4 o’clock, I mean exactly at 4pm. First a woman came in for a growler fill-up, followed by two mid-20 something women. Then what looked like, a father and son in-law arrived. Three more mid-20 something women strolled in shortly thereafter, meeting up with the first two women. A couple in their early thirties sauntered to the bar, and in quick succession two plaid shirt and Carhart wearing fellas, arrived. By 4:15 the bar was shoulder to shoulder and most of the four-top tables were occupied. Justin mentioned that it was slow compared to most Friday and Saturday nights. He said he’s become the village brewer and tavern keeper all rolled into one. This substantiates theory I have. A theory that I was in fact discussing with Justin that very afternoon—but before I get into that, I need to step back for a moment. I’ve always been a little skeptical of the nano model. It never seemed like a sustainable business plan. It seemed like a short cut that would eventually end up costing more than it was worth. Here’s what I mean. In 1995 if you wanted to open a brewery you did one of two things: 1) Open a, minimally, 7 barrel capacity, brewpub, or 2) open a 10 to 15 barrel capacity microbrewery. The thought was, anything smaller and you’d have 1) brew two or three times as often—which is less efficient and therefore more expensive, and 2) eventually have to expand into a larger system, and having a relatively large system to begin with, would be less expensive than with a smaller system. That way was the way, until say 2008* or so—which was when someone had the idea of developing a small 1, 2, or 3 barrel “nano” brewing system. Nanos were a way to ease into production brewing. 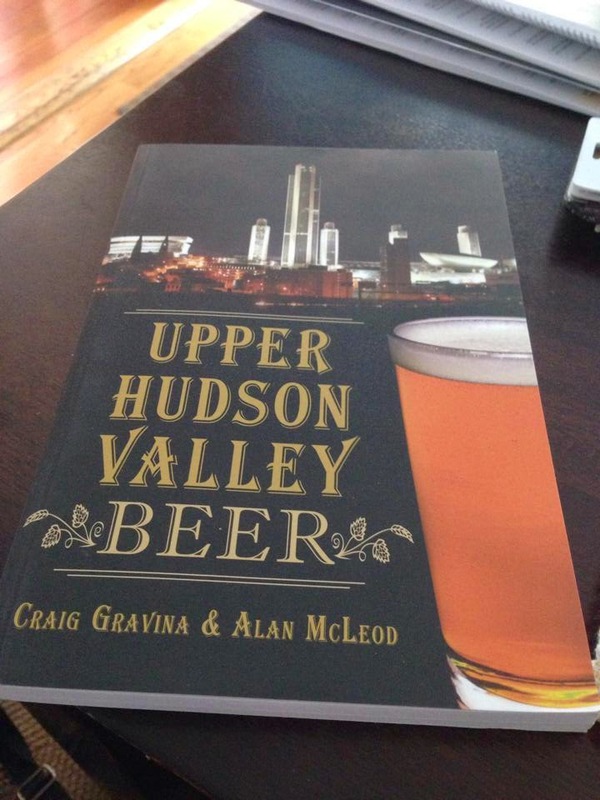 a $30,000 (as opposed to a $150,000) way to gain a little experience, build a fan base, rise in popularity, make a little scratch, and eventually expand into the next Southern Tier. There’s are two problems with that: 1) Expansion is expensive (which hearkens back to the old idea of “having a relatively large system to begin with, would be less expensive than with a smaller system.”). The logical step is to garner investors for said expansion—which means another level of debt—and of course investors demand returns; and 2) There are 1.2 billion nano breweries opening in New York, with the same exact plan as everybody else—to be the next Southern Tier. That is obviously a bit of exaggeration, but nonetheless not everyone can be the next Southern Tier. But that’s not Justin’s plan for Green Wolf. Here’s my aforementioned theory. Green Wolf is the new “nano” model, or rather a very old model adapted to today’s situation. One hundred or two hundred years ago, most little American villages had a brew house and taverns. Green Wolf is the re-imagining of the village brewery/tavern. There’s also no reason this model can’t work in an urban environment. If a village brewery, why not a neighborhood brewery? Sure Justin wants to grow his business, but he’s not looking to dominate the craft market. He’s looking to fill a void, and there’s obviously a void to be filled on a Saturday afternoon in Middleburgh. He’s happy to be the village brewery—and therein lies the key to the model. Long theory short, if you’re a small stay small. I had a conversation that covered similar ground when putting together the figures for this post. The conventional wisdom here is that anything below 5hl (brewhouse) isn't really that worth it. The price difference between a 2 and a 5hl kit is minimal, and so are the space requirements. The operational costs of the bigger one (at the same volume of production), on the other hand, can be much lower. It's not the start up difference between 2hl to 5hl, it's the step-up from 5hl to 20hl that's the doozy. I grew up near Middleburgh, nice to hear its one of your favorite places. I have heard about Green Wolf but haven't been back to check it out yet. Now I am looking forward to a little trip even more. Isn't one of their beers named after the last hop farm to operate in Schoharie County? Yep, Pindar's Imperial IPA, is named after Pindar's hop farm, which was—at one time—one of the largest in state. I think this model probably works better in Middelburgh, and Athens (crossroads) or on a further extreme to a brewery that has grown substantially in comparison to the other two aforementioned, Adirondack in Lake George.  In a more urban environment, the brewery faces the challenge of competing with multiple beer centric bars. In any event, I like this model and also need to get out to Green Wolf and try some. "I love scotch. Scotchy, scotch, scotch..."